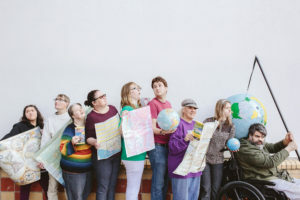 Inside Out Theatre's Point of View Ensemble have created a show featuring a dreamy world straight from the imaginations of children with disabilities. You can expect mermaids, pirates, time-controlling teens and more at this creative two-night affair. The Point of View Ensemble creates works from the perspective of the Social Model of Disability, which says that “disability” is caused by the way society is organized rather than by a person’s difference.